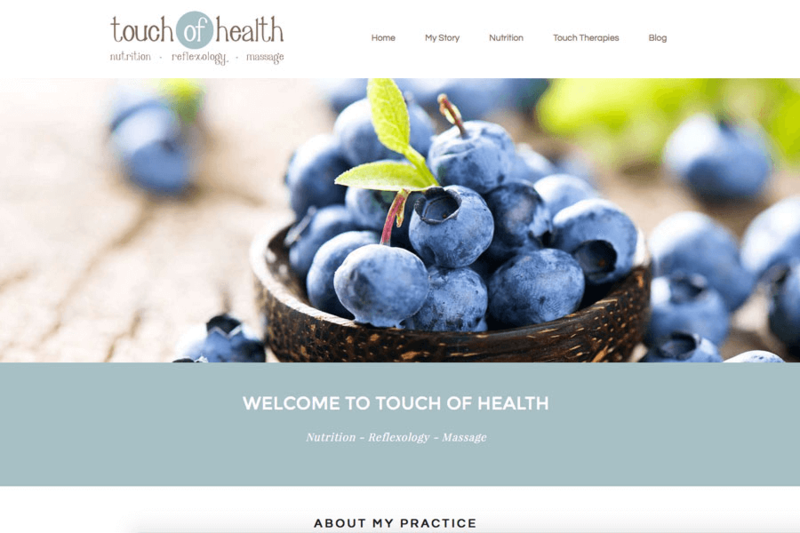 This week's website of the week goes to Touch of Health. Touch of Health offer naturopathic nutrition and touch therapies designed to improve your health and wellness. Senior Project Manager Lanara started by creating a fully responsive website, using full width panels, slide show header and the clients branding to create a fresh and welcoming feel. The website features a stunning colour scheme that is taken from the clients existing branding. When you take a look through the pages you can see that the premises that the client works from also uses these fresh and complimentary colours meaning that the website as a brand works very well. The website features a website form for people to register their interest in the services offered. The client will then be able to use the information collected for any marketing purposes as well as to notify people about new products, services or more. The pages are styled with a consistent theme, and follow the layout of the home page. The images have been chosen very carefully to reflect not only the business but the business owner. Each page has images that compliment the design and topic of each page. 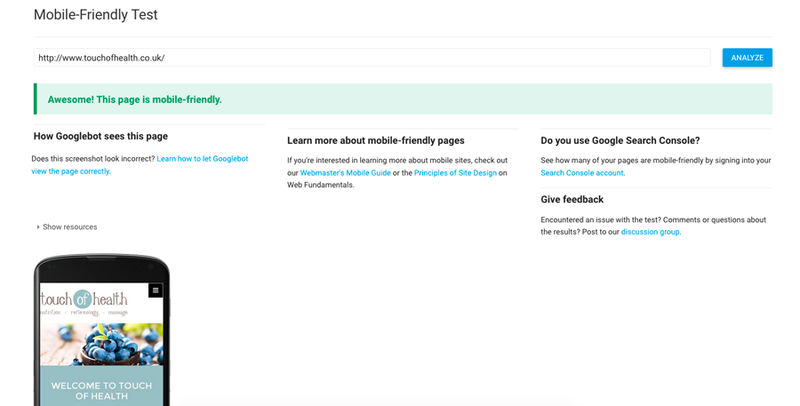 The website passes Google's mobile-friendly test with flying colours, meaning that the website is responsive to the device it's being viewed on. This is a must when it comes to people viewing the website on the go! Websites that are not responsive or mobile-friendly will suffer in mobile search results or not appear at all! The images are a mix of stock images combined with the clients own images. This makes for a very good combination. Each image works well and has been chosen specifically for certain areas of the website pages. You’re welcome to pick our brains about anything related to your small business website.